The Ontario government says it will continue to invest in the province's roads, bridges, and other transportation infrastructure. The commitment is important for the long-term success of the local construction industry. The Builders Hardware Manufacturers Association (BHMA) has published product category rules (PCRs) for locks, latches, exit devices, door closers, and hinges. This sets the framework for manufacturers to develop environmental product declarations (EPDs), ultimately increasing transparency and helping design professionals compare components. 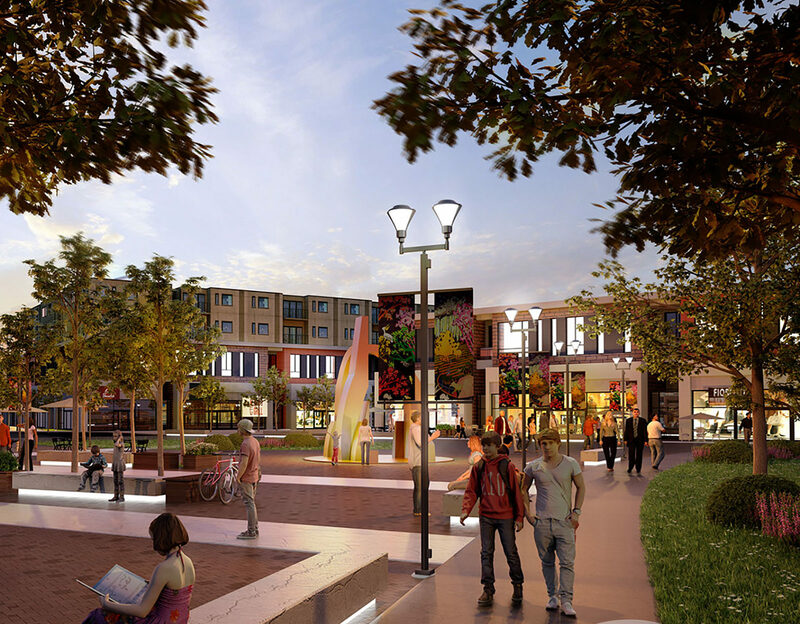 A rendering of Calgary’s University District, which earned Leadership in Energy and Environmental Design for Neighbourhood Development (LEED-ND) platinum certification. The Canada Green Building Council (CaGBC) administered Leadership in Energy and Environmental Design for Neighbourhood Development (LEED-ND) platinum certification to Calgary’s University District. Green building—WCDT incorporated energy efficiency through water conservation, construction activity pollution prevention, solid waste management, storm water management, recycled content in infrastructure, light pollution reduction, integrated pest management (IPM), and ongoing green education.